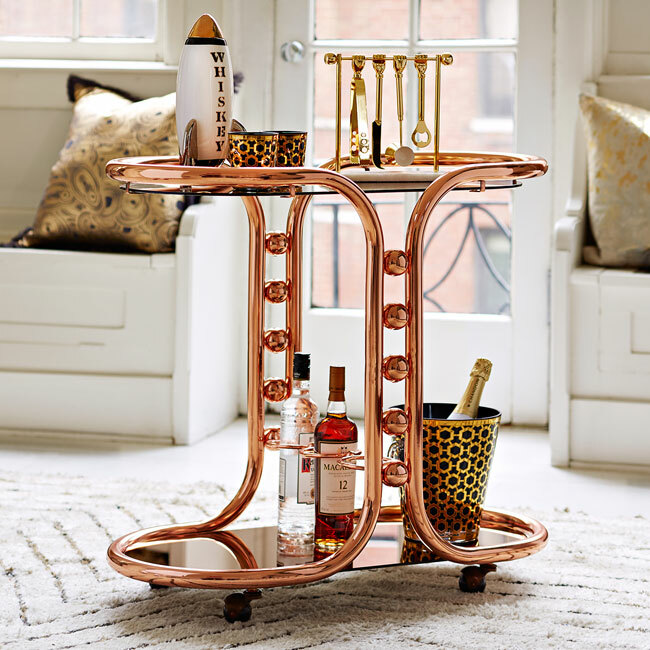 Looking for something a little more interesting for a home bar? 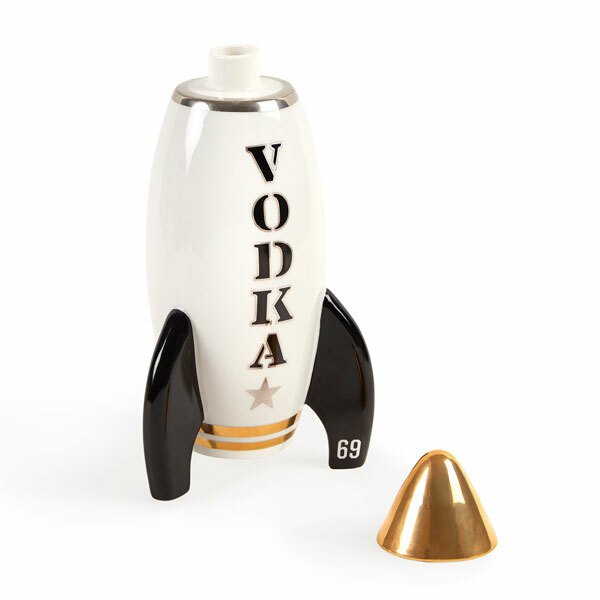 Check out the Retro Rocket Decanters by Jonathan Adler. 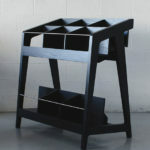 But before you buy, you might want to consider your bank balance, as these rather cool objects don’t come cheap. 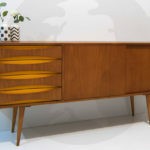 Then again, does anything come cheap via Jonathan Adler? In this case, the price bumps up a little because of the finish, which involves 24-carat gold lustre porcelain. Any mention of the word ‘gold’ is always a pricey affair. But that finish isn’t the appeal for me. 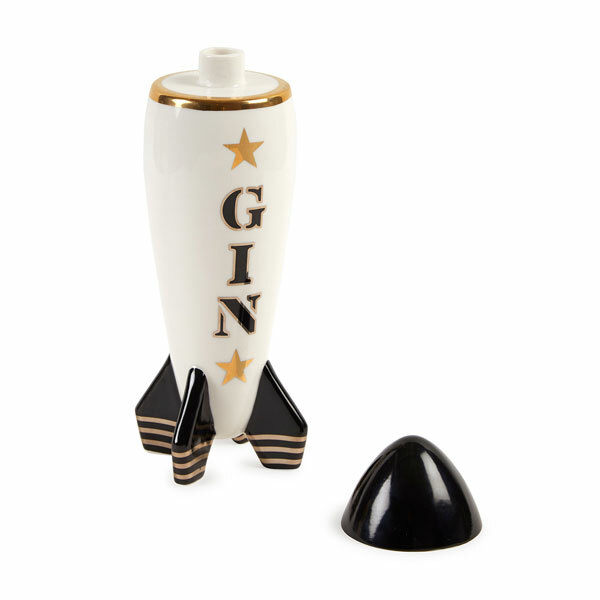 I just love the retro rocket shape of these decanters, which are available for gin, vodka and whiskey (yes, they have gone with the ‘e’ for the spelling of the last one). 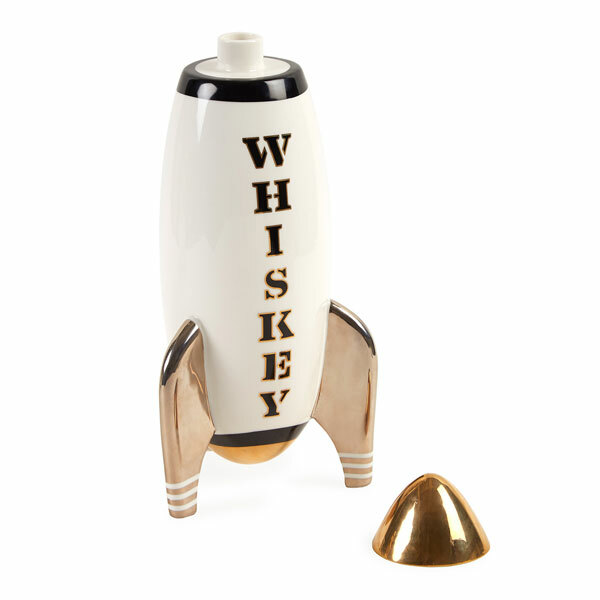 The rocket puts me in mind of Tintin’s classic rocket. 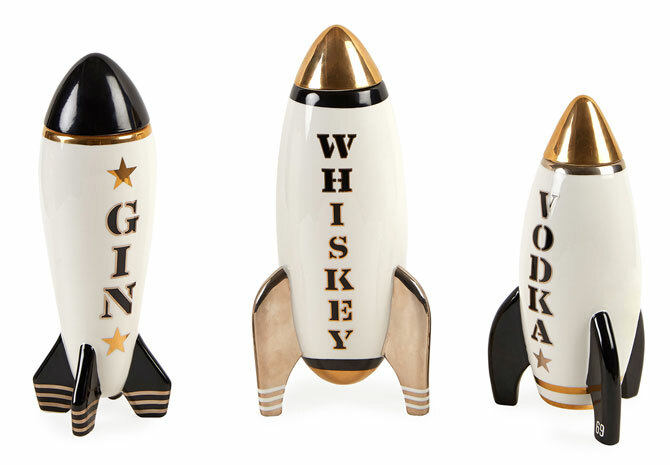 Whatever they remind you of, they would look amazing when used on a retro or vintage bar/cocktail cabinet and get visitors talking as you mix them a drink or cocktail. 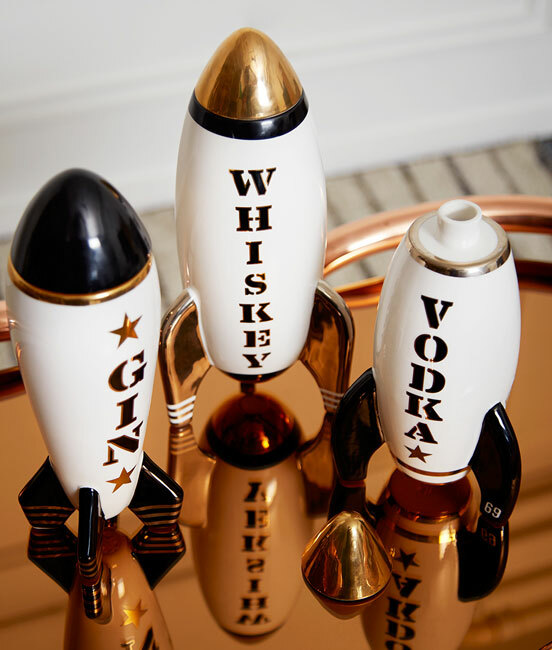 They would look the part simply as decorative objects too. 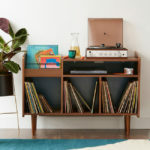 As for that price, they sell from £148 directly from Jonathan Adler, although there is a 25 per cent off code at that site right now, so a lot cheaper in reality. 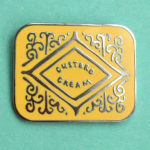 You can also find them at Selfridges too, but without the discount code.